Our BSA wooden block has been dropped off with our friends Randy and Michelle and will be carved within the next 24-48 hours. Oh, the excitement. We can hardly contain ourselves. In the meantime, we will need to purchase paint pens and make "the little people". 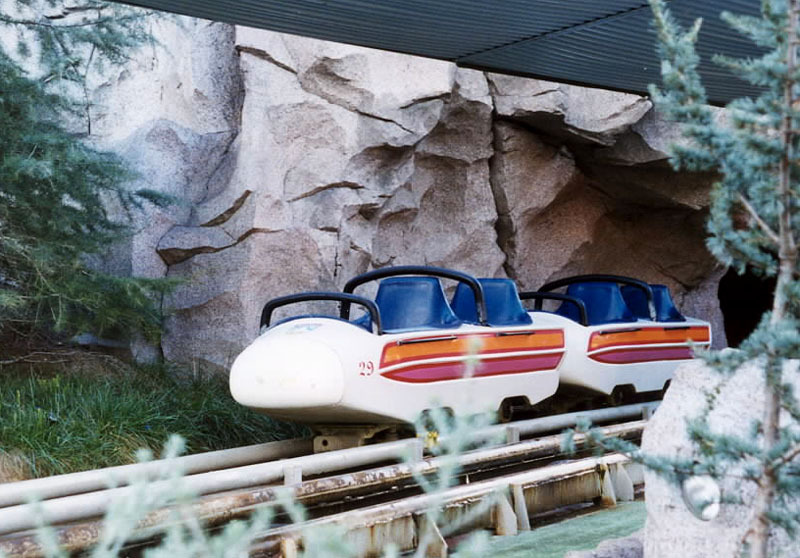 Yes, the Disneyland Mattehorn ride looks much more fun with people in them. We made three Matterhorn riders: one representing each of my sons and one representing me. We used our handy, dandy, quick and easy to use Crayola Model Magic, which you can get here, and made the top half of people's bodies to be glued onto the Matterhorn Bobsled Pinewood Derby once we receive it back from R&M. We want to be ready and prepared, because that's what we scouters do. Be prepared! By the way, if you've never used model magic...it's the best. It's like play-doh, but it's not sticky, oily or stinky and doesn't leave residue. It molds as easily, and dries to a rubbery, foamy texture. It can be painted, glued, cut, etc. It's a must to have in your craft supply box for that last minute school project. We molded our model magic into three little round heads with mouse ears to resemble Disneyland Mickey Mouse hats, created the upper half of their bodies and let them harden/dry overnight. The following afternoon, R&M dropped off our carved matterhorn...yaaaaay! We then got the little people all dressed up (painted and glued). Even added face expressions. What da ya think? The little people are just sitting on the Matterhorn to dry. 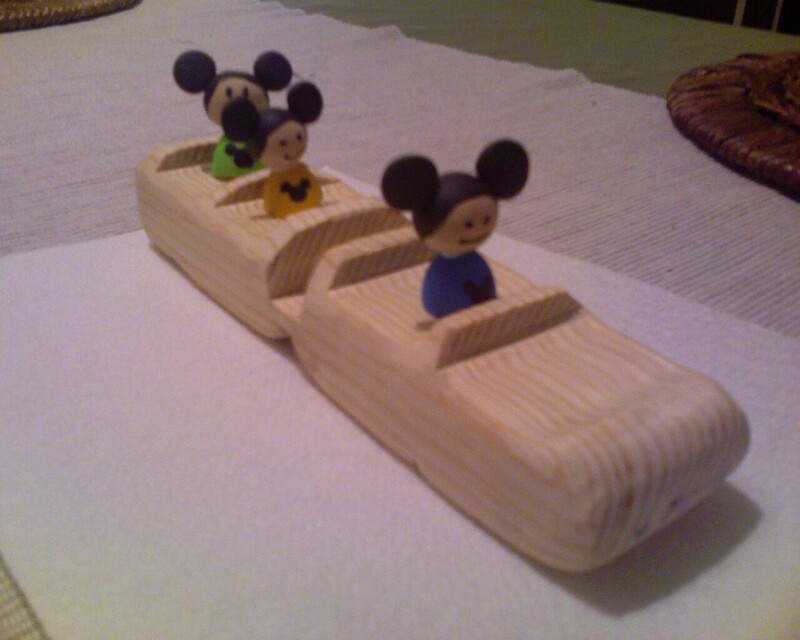 They're not glued yet as the bobsled still needs to be sanded and painted.